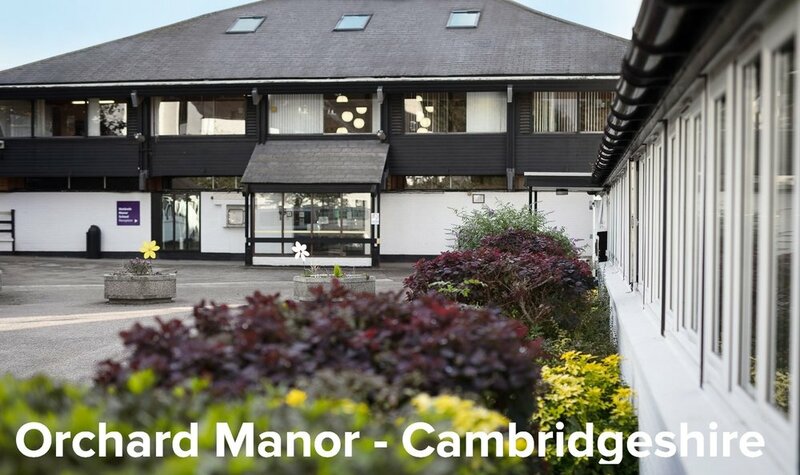 Aurora Orchard Manor in Cambridgeshire offers a supportive living and learning environment for young adults with severe and complex learning difficulties and physical disabilities requiring high levels of support from a multidisciplinary team. Situated in the village of Meldreth, just ten miles south of Cambridge, on the Cambridgeshire/Hertfordshire border. Orchard Manor offers a supportive living and learning environment for young adults who have severe, profound and multiple learning difficulties resulting in complex learning needs. Orchard Manor offers a supportive living and learning environment for young adults who have severe and profound learning difficulties and is one of the few services in the country that is also able to support those with complex health needs and associated difficulties. We work with people with multiple disabilities who may have sensory and physical impairments and will benefit from specialist facilities designed to meet their needs. Orchard Manor provides a transitional opportunity moving from education into adulthood with a focus on person-centred programmes to promote independence. The Skills Centre focuses on developing independence. Young adults have the opportunity to try new experiences, develop their communication skills and prepare themselves for their future by ensuring they are equipped with key life skills. Importantly it’s also a place they can have fun, make friends and express themselves. The centre is open to the young people who live at Orchard Manor and also from the surrounding area who attend each day from home. Life at Orchard is very varied and never dull. No two days are the same. Individuals work with their team to create their own personalised programme which can include a variety of activities depending on what their long and short-term aims are. Sessions include cooking, music, art, sensory, ICT and community activities e.g. shopping, swimming and social enterprise. 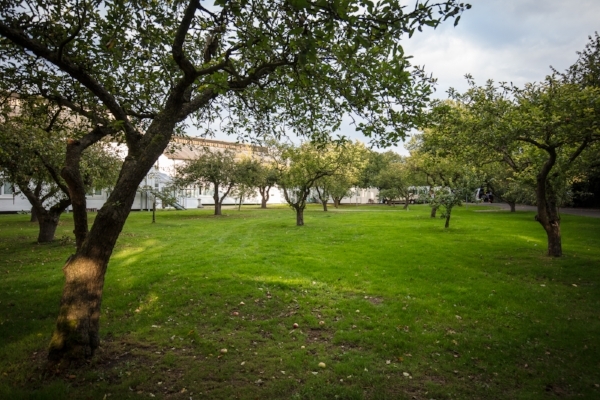 Orchard Manor has good connections with the surrounding community and residents engage in off-site activities such visits to the library, trap driving, horse riding, rock climbing, cinema, shopping and college courses. Long and short-term aims are set out after the young person has had time to try a wide range of activities and their individual timetable is then developed. At this point we hold a meeting with the young person, tutors, therapist, family and external professionals when we agree long, medium and short term aims and targets to support each person to fulfil their aspirations and goals. We support our young people to lead independent and fulfilling lives and do this through four main domains Reliance, Collaboration, Responsibility and Creativity. Within these domains we focus on four key areas for development self care and support, autonomy, participation and communication. 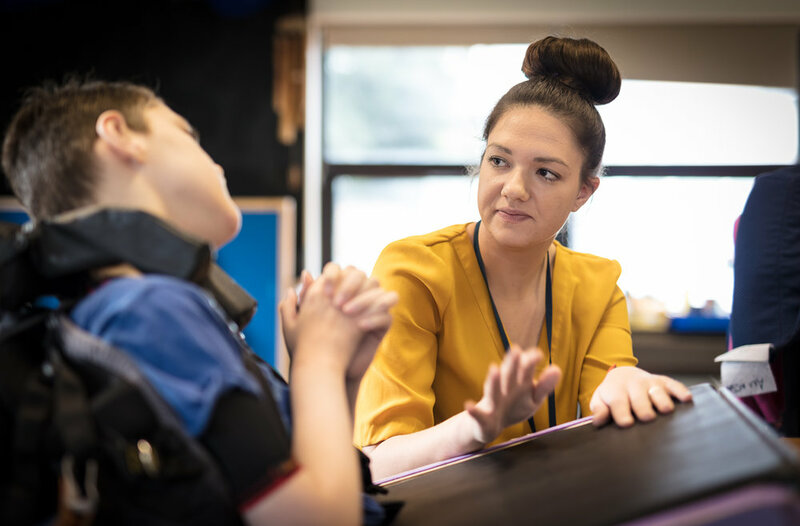 Our multidisciplinary team work together as part of the sessions to build on an individual’s strengths and develop new skills and interests, helping them to explore ways to reach their full potential. At Orchard there are a number of social enterprises on site such as our weekly cake sale run by one of the young adults. Our soap making, dog biscuit making, card making, wrapping paper and chutney enterprises give the young people the opportunity to learn work related skills, develop confidence and communication skills as well as have fun. When people are ready to move on from Orchard Manor they are supported to visit other places and explore the opportunities a new home can provide. Our team supports both the individual and their new home to understand needs, the changes taking place and to make a good transition. We are a CQC ‘Outstanding’ registered care home and offer flexible 52-week residential placements, specialising in supporting young people with severe and profound learning difficulties and complex health needs. Our support workers are trained to use a number of techniques to empower residents to express their likes, dislikes, wants, needs and aspirations and ensure every day at Orchard is fulfilling. Orchard Manor is registered for 31 beds and currently undergoing renovation with each area designed to provide flexible, homely and comfortable age-appropriate living accommodation. 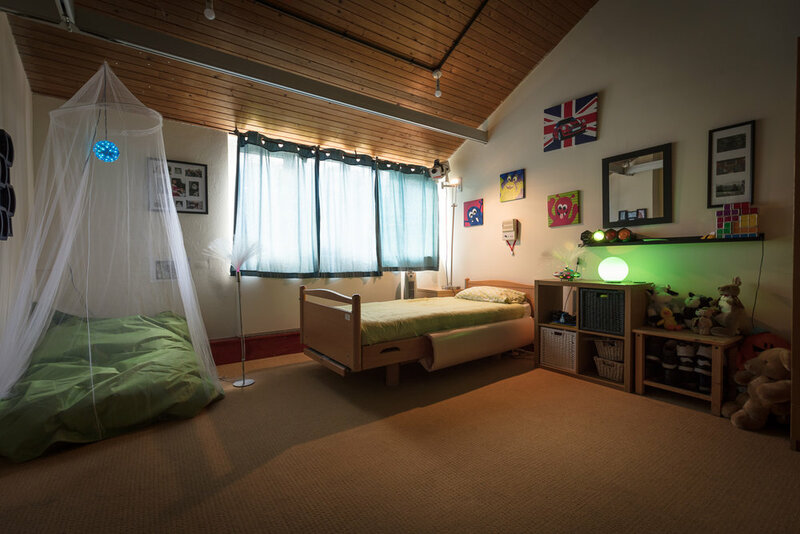 Rooms are large and wheelchair accessible and can be equipped with assistive technology where required. All the living areas have a kitchen where people are encouraged to get involved in choosing and preparing meals and a large lounge area where residents can relax and socialise with their house mates. Orchard Manor is within easy access of the A1 and M11 (Junction 11). Meldreth train station, with mainline links to London and Cambridge, is approximately a 15 minute walk or 5 minute drive away from Orchard.